Not even two weeks after announcing the Galaxy Fold, Samsung is reportedly working on two more smartphones with flexible screens. These aren't improved versions of the Galaxy Fold, but rather different designs the manufacturer wants to experiment with the market. 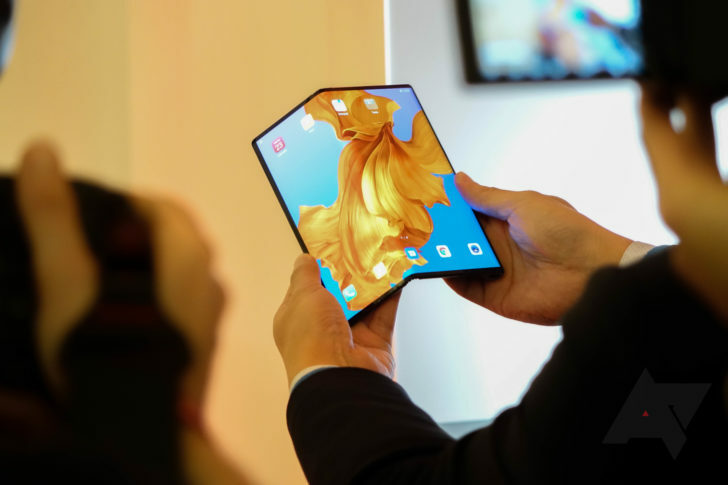 The first one should be a giant clamshell-like device, while the second one would look similar to the Huawei Mate X and feature a single, outward-folding screen. The first smartphone, which will fold from top to bottom, is expected to be marketed in about a year. 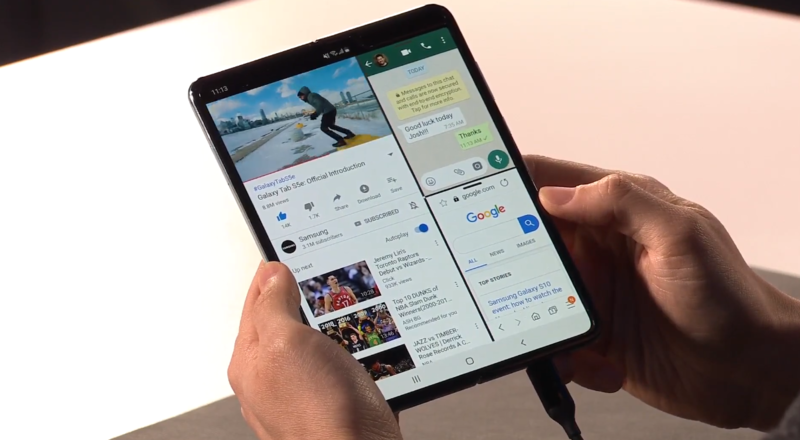 In addition to its main flexible panel, it's supposed to have a smaller outer screen, which Samsung could consider removing based on Fold owners' returns. I have to admit I find the latter's 4.6" cover display ridiculously small, but it's definitely more convenient than unfolding your device while you're on the move. The outfolding handset seems to be the most promising, and Samsung reportedly thought of releasing it before the Galaxy Fold. As it should have a single panel, it would weigh less and be thinner than its siblings. The manufacturer probably won't release this device in 2019, which could indicate the Galaxy Fold is just a market test before announcing a more sophisticated smartphone. The main issue Samsung should look at addressing is the plastic screens it's forced to use on its foldable devices. As bendable glass isn't ready yet, — but it should soon be — manufacturers have to cover their panels with plastic polymers, which scratch and crease. In fact, the Galaxy Fold's screen is reported to ridge after being folded more than 10,000 times, and the company is considering offering free replacements to people facing the issue — which is the least it can do for people paying $2,000 for a prototype. Samsung's CEO has also mentioned the company is working on rollable and stretchable phones, but we shouldn't expect to see these roll out to the masses before a few years.